We create the complete outdoor living experience! Everything you can think of from landscaping design and installation to outdoor kitchens and fireplaces. 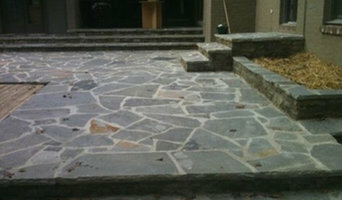 We also design and create patios and walkways. In addition, we're complete irrigation installation and repair experts. Everything we do is done with honesty, integrity, and character which has made us one of the most respected companies in our service niche in the city and surrounding areas of Birmingham. The Nelson Team is a family owned and operated business that has been serving the Birmingham area for 25 years. Our highest priority is to provide our customers a level of quality, service and value unmatched in the industry. The Nelson Team provides professional design, installation, and maintenance of all components of Landscaping, Stone & Paver work, Landscape Lighting, Irrigation Installation & Irrigation Repair for all your Outdoor Living Spaces. We take pride in training everyone of our team members to meet our high standards in not only the services we provide but teaching them how a customer should be treated. Located along (and named for) Blackjack Ridge in the Birmingham area, Blackjack Gardens, Inc. was formed in 1998 by a local Birmingham family. The name was taken from the Blackjack Oak trees populating this mountain ridge in northeast Jefferson County. Originally, the company incorporated many divisions including a high-end casual furniture business, an equestrian center, a horticulture group, and an organically grown produce operation. In 2004, the horticulture group was spun off to create an independent company known as Blackjack Horticulture, Inc. and is now owned by Bryan Word who has worked with the company since its early years. 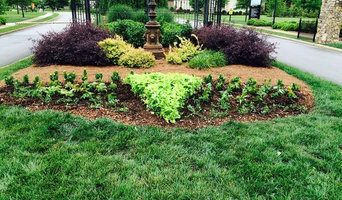 Blackjack Horticulture is a full service landscape company offering a variety of landscape installation & construction, landscape maintenance, floriculture services, and masonry both residential and commercial. Since its inception in the late '90s Blackjack Gardens, and now Blackjack Horticulture, has held fast to a commitment of serving its customers in a way that builds lasting relationships and yields quality work. Most of its original customers are still being served by the company even today. Greenscape Management is a complete landscape service provider for all of your lawn beautification and outdoor living needs. We collaborate with our clients on every aspect of our landscaping services so that the end result reflects what YOU want. We have over 18 years of experience and our owner oversees every project. We offer environmentally friendly and cost-effective solutions for all aspects of your lawn. From commercial and residential properties, we provide professional landscaping, irrigation installation, excavation projects for new construction, and outdoor living space design and installation, including water features. As one on Shelby County's top landscape companies, we have completed projects for clients in neighborhoods such as Highland Lake, Chelsea Park, Greystone, Eagle Point, and Meadowbrook. We have $2 million in liability insurance and compensation to protect your home or business. We create the complete outdoor living experience! Everything you can think of from landscaping design and installation to outdoor kitchens and fireplaces. APL, utilizes a design/build approach in creating your landscape environment. From concept to completion, every aspect of the project is handled by our team of professionals. This single-source responsibility allows you to work directly with our professional staff to assure effective communication and total project control. Whether you are looking for a turnkey landscape design & installation, or you plan to do the actual landscape work yourself, Nature One, Inc. provides a full range of design services to make your landscape projects come to life! We also provide consulting & design services for lawn irrigation and decorative landscape lighting, outdoor cooking areas, outdoor kitchens and outdoor relaxing & entertaining centers. At DSLD Land Management, we take care of everything – landscaping design, installation and construction. There is never a need to hire multiple companies to accomplish your project. We partner with you, we listen to you, and your ideas for how you plan to use your outdoor space. And we always strive to exceed your expectations and provide you with the best landscaping construction and design services Birmingham has to offer. We achieve that through careful planning, setting clear expectations, and providing excellent all-inclusive service. Four 14 years, the small, family-owned business, Davidson Hardscapes, has prided itself on taking someone’s vision or dream and turning it into a reality − and we don’t plan on stopping now! If you need help in designing your dream landscape, we have an amazing design team waiting to help create that dream. We will always advise the customer on what is best for their landscape, whether we get the job or not. We will always go the extra mile to ensure that the customer is getting what they pay for and that they are happy with the service they are provided. And if seeing the quality of work on this website is not enough, just ask for some references and they will show you and tell you why we are the company for you. FLD Landscaping & Garden Shop has been in business since 1989, making us the most experienced landscaping company in Etowah County. We are certified landscape planners who have the expertise to take your outdoor project from design to completion. AGSVC is operated in Vestavia Hills, Alabama, and has been providing landscaping services to the Birmingham area since 1984. What began as a landscape maintenance company, over the past 20 years, has progressed into a full-service landscape company committed to its customer's ideas, service and personal attention. For over two decades, the company has maintained its commitment to quality, integrity and a positive experience. AGSVC offers an array of services carried out by its professional staff of highly skilled and experienced individuals. We offer landscaping services for commercial and residential properties alike. Outdoor Living Areas, Inc. designs and builds both beautiful and functional outside living spaces that family and friends can enjoy year round. We are the premier company in the Birmingham area as far as as experience, design ideas, material options, and quality workmanship. Our hard-earned reputation as a highly organized, creative, lean and mean operation translates to you getting the most bang for your buck. We all know by now that these outdoor projects add value and equity to our homes. More importantly, they add something to our daily lives that we cannot put a monetary value on...time. Our time is more valuable than anything else in our lives, and these unique areas are becoming more and more a must-have for anyone who wants to spend more time relaxing and unwinding with family and friends. Think about it...on any given weeknight, we can fire up the grill, light the fire pit or fireplace, and enjoy dinner outside with family. Or on any given weekend, we can invite friends and neighbors over for a day of barbecuing and watching the big games on our very own outdoor TV. You know you want your very own personal outdoor living space. We all do! What better way to re-connect with your family and friends without the cost and hassle of having to travel somewhere. Since 2001, Andy’s Landscape Service has been a high quality provider of landscape and maintenance related services to the greater Birmingham area. Andy’s Landscape Service is a member of the Alabama Nursery & Landscape Association, Greater Birmingham Association of Landscape Professionals and Southern Nursery Association. Andy’s Design and Installation team is the brightest and the best in our industry! Our State Certified Landscape Professionals and excellent team of horticulturists are eager to serve you. In operation for over 30 years, Trimm Design Build is a custom full-service company, equipped to handle all aspects of outdoor design and installation. We have seen hundreds of designs through to their completion, giving us the advantage of having had experience with many issues, finding what solutions work best, constantly refining what we do. Our expertise covers landscapes, hardscapes and specialty construction. There is hardly a project that we are not capable of handling. In short, Trimm DB’s thoughtful designs and skilled team translates to great work. Our group is comprised of landscape and environmental designers, architects, and horticulturalists. We welcome challenges and are accustomed to coordinating jobs that require many different components. Trimm DB’s work spans from purely creative to purely functional and everything in between. What sets us apart is our ability to strategically handle projects from simple to complex, always maintaining a high level of detail. We are known for our quality custom work that stands the test of time. On every project, we strive to combine the best possible solutions with the most cost-effective means. Demonstrating a sustained commitment to integrity, Trimm DB works toward excellence in creative problem-solving and enhanced outdoor experiences. Every project we get behind is conducted with utmost professionalism and a strong work ethic to ensure complete customer satisfaction. Give us a call and see what we can do! Trimm DB primarily serves the Greater Birmingham, AL area, but is willling to travel if the job is right. Not gifted with garden tools? Professional Trussville landscaping companies are your best bet to get lush, lovely grounds year round. Hire a landscaper to create and maintain a beautiful yard that complements your home and blends into its native setting. From soil, grasses and plants to decks, walkways and patios, Trussville landscape contractors are well versed in the components that make up a functional and visually pleasing outdoor living space. Learn more about how a landscaping company in Trussville, AL can help you with your yard below. What does a Trussville landscape contractor do? Landscaping contractors execute lawn, garden and hardscaping plans that have been drawn up by an architect or designer. They may also provide design services on their own. After the everything has been installed, landscape companies can make adjustments, maintain plantings, take care of weeds and pests, and perform other tasks to keep the scheme looking its best. A licensed Alabama landscaper should have detailed knowledge of Trussville, AL weather and climate trends and conditions, and can choose plants and materials that are well suited to the area. Residential landscape companies in Trussville, AL also handle many of the same general duties as builders, including arranging for construction permits, hiring subcontractors and making sure that designs comply with Alabama building codes. 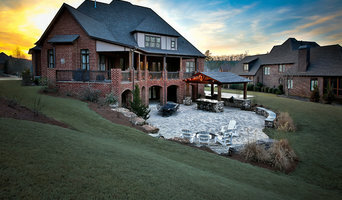 Find Trussville landscaping services on Houzz. Narrow your search in the Professionals section of the website to Trussville, AL landscape contractors. You may also look through photos of Alabama landscapes to find one you like, then contact the landscaping company in Trussville, AL who worked on it.